ADDIS ABABA, Ethiopia, Feb 11 2018 (IPS) - In Ethiopia social media is a double-edged sword: capable of filling a sore need for more information but also of pushing the country toward even greater calamity. 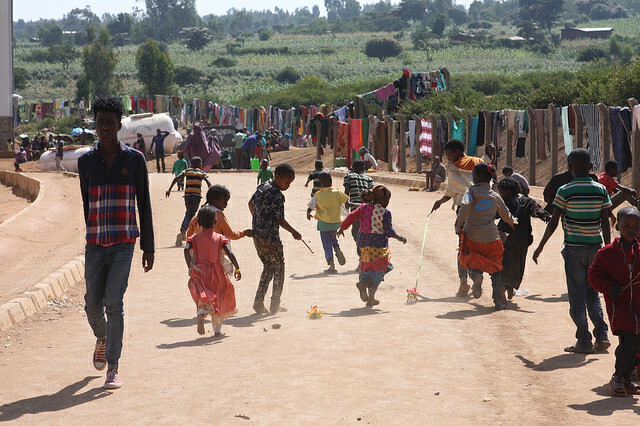 Thousands of Ethiopians remain displaced after ethnic violence last September drove an estimated 200,000 to 400,000 from their homes in the neighbouring Oromia and Somali regions. From many of the displaced and those assisting them came accusations of the ethnic unrest being leveraged for political ends, suspected perpetrators ranging from powerbrokers at the regional and federal government levels, all the way to the likes of Ethiopian cab drivers coming off shifts in Washington, D.C., in the United States to Tweet ethnic-laced vitriol on their smartphones. Since 1995, Ethiopia has applied a distinct political model of ethnically based federalism to the country’s heterogeneous masses—about 100 million people speaking more than 80 dialects. This political model had proved a successful formula for maintaining stability and generating huge economic growth—but both achievements contain crucial flaws. Authoritarian rule and lack of civil liberties underpin the stability, while economic growth has barely touched millions of poor Ethiopians, instead benefiting a tiny elite in cahoots with the government. This reality of life in the so-called Federal Democrat Republic of Ethiopia, proclaimed as one of the fastest growing economies in the word, fed resentment and frustrations. These reached such levels that since protests broke out over the maladministration of the ruling Ethiopian People’s Revolutionary Democratic Front (EPRDF) party at the end of 2015 among the Oromo—Ethiopia’s largest ethnic group, representing about 35 percent of the population—the turmoil hasn’t stopped. The unprecedented duration of these protests and their scope—the Amhara began protesting in 2016; together the Oromo and Amhara account for over 65 percent of the country’s population—has rendered the country’s inherent ethnic fault lines more fragile and susceptible. “The problem is a lot of things people view as gossip if heard by mouth, when they read about it on social media they take as fact,” says Lidetu Ayele, founder of the opposition Ethiopia Democratic Party. Successive waves of emigration during decades of tumult in Ethiopia have formed a worldwide Ethiopian diaspora of around two million people. The largest communities are in the U.S., with estimates varying from 250,000 people to about one million. The diaspora, understandably, follow events in Ethiopia very closely. They loathe the current authoritarian government—many overseas Ethiopians fled their homes after suffering at the hands of Ethiopia’s authoritarian government and have enough reasons to wish it ill—and embrace satellite television and the internet to influence the political process at home . The protests are seen by many as a pathway to bringing down the government, hence a growing diaspora movement of writers, bloggers, journalists and activists shaping the coverage of events back in the motherland. With limited press freedom and frequent blanket shutdowns of mobile internet and the banning of posting on social media in Ethiopia, these diaspora activists, using their contacts in Ethiopia, have offered sources of news on the protests by flooding Twitter and Facebook with videos and photos disputing what they say are inaccurate accounts of protests pushed out by the mostly state-owned media in Ethiopia, or by muddled foreign correspondents unable to gain sufficient access. But there is another side to diaspora social media coverage. After clashes between police and protestors at the Oromo Irreecha festival in October 2016 left more than 100 people drowned or crushed to death during a stampede, social media sites buzzed with claims that a police helicopter had fired into the panicking crowd—it was circling dropping leaflets wishing participants a happy festival. Overseas activists called for “five days of rage.” Although it is not clear what effect this call may have had, the following week, foreign-owned factories, government buildings and tourist lodges were attacked across the Oromia region. The government declared a six-month state of emergency. That was only finally lifted in August of 2017—having been extended at the six-month point—with the government judging the country’s situation stable enough. By Sept. 12, however, a riot in the eastern city of Aweday that left up to 40 dead triggered further ethnic violence and mass displacements. “They were crossing their arms and shouting ‘Jawar! Jawar!’” 52-year-old Adamali Meagsu says about local Oromo running amok and burning Somali houses in his village. When Ethiopian runner Feisal Lyles finished the marathon at the 2016 Rio Olympics, he crossed his wrists above his head in a gesture widely adopted through social media to symbolise the Oromo’s struggle against the government, and mimicked throughout Ethiopia and around the world outside Ethiopian embassies. Jawar Mohammed is a prominent U.S.-based Oromo opposition activist commanding a huge social media following. To many he is an inspiration. To many in Ethiopia—both local and foreign—he’s a highly dangerous figure. “They live in a secure democracy and are at liberty to say whatever they want to cause mayhem in Ethiopia,” says Sandy Wade, a former European Union diplomat in Addis Ababa during the protests. Diaspora satellite television channels broadcast from the United States, such as Oromia Media Network and Ethiopian Satellite Television, do produce decent original reporting. But they are one-sided and virulently anti-EPRDF, as are the views and stories their followers propagate on social media. The cumulative effect should not be estimated in a country as diverse as Ethiopia, where historical grudges exist between main ethic groups. In Rwanda, radio programs such as Radio Télévision Libre des Mille Collines spread much of the toxic hatred that fuelled the country’s genocide. Social media appears similarly capable in spreading untruths and ethnic barbs in Ethiopia. Many of these have an anti-Tigrayan slant due to the firmly held belief that a Tigrayan elite runs the EPRDF and is to blame for all of Ethiopia’s corruption, inequities, ills and wrongs. “I hope the women who puked #EPRDF members out of their bodies have their wombs filled with cement and buried like dogs with rabbis,” said one Tweet posted online, a relatively common example. Making up only 6 percent of the country’s population, ordinary Tigrayans are highly vulnerable to ethnic-based agitation. Amidst the tragedy, rage, intrigue, blocked communications and difficult travel, it is difficult for the likes of journalists, foreign diplomats and the average Ethiopian to understand what is actually going on. Hence social media can provide an opening for sorting through the noise and confusion. But it can be used for more nefarious means too, especially in a volatile situation like Ethiopia’s when so many are on edge. As throughout Ethiopia’s turbulent history, it is ordinary Ethiopians—typically poor, eking out lives of subsistence—who are bearing the fallout from Ethiopia’s current political machinations as different interest groups jostle for power, many of them regardless the human cost. Ethiopia is not unique in that regard. The political elites of many African countries appear to specialize in this modus operandi. But the overbearing influence of Ethiopia’s diaspora may well be unique, and not appreciated until too late. Ethiopians are quick to smile but just as quick to anger. Colossal resentment and bitterness seethes beneath the country’s surface waiting for an outlet. Swathes of unemployed young men have no hopes or prospects. This has all played out before in other man-made African infernos. The problem has started 43 years ago. It is the hatred of Amhara people by TPLF. This hatred is still with TPLF. It is in their book of struggle. Day and night directly and indirectly attack Amhara people in the media, prisons, workplaces, etc. Forty three years of hatred built by TPLF is collapsing, and collapsing fast. no mater who wroth this, this is an amazing article that no one has ever explained the situation in Ethiopia like this before. to assert that “This political model had proved a successful formula for maintaining stability and generating huge economic growth—” only figment of your imagination, Jeffery, people are being massacred and disenfranchised and for you it is as usual daily business so successful at the death of the innocent people women and children just make and pocket the dollars!God have mercy on you, sleep well! Somalis lie a lot. They specially lie to foreigners such as this Journalist how wrote this article. Nobody should believe the following statement: “I thought my husband was going to kill me, he grabbed my hair and started cutting it with a knife,” says a displaced Somali woman kicked out of her home by her Oromo husband. 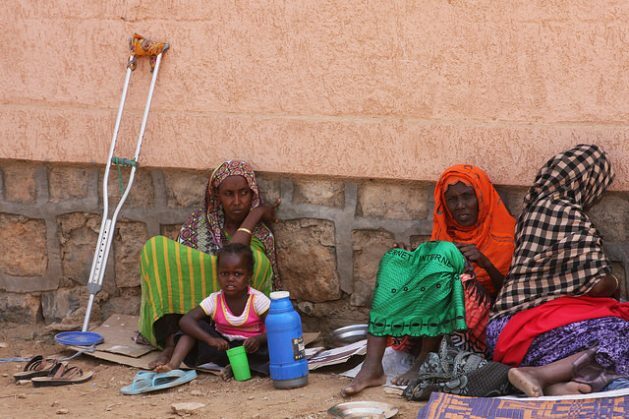 “He told me, ‘This is Oromia, you must leave now’.” There are still thousands of Somalis who live in Adaamaa and elsewhere, nobody has asked them to leave. In Somali region, no Oromo is left.